I own an assortment of measuring tools, but most are metal and not getting them near my watches! Saw this and had to buy it - plastic caliper - for $2.99! It is unapologetically cheap, but will easily get you within a half millimeter, which is all you need for most stuff. While it is easy to measure lug width, this makes it perfect. But this will also let you easily measure case thickness, straps, and other dimensions with zero risk of scratching or scraping. Way nicer than fumbling with a ruler. ... but will easily get you within a half millimeter..
Nice find! Just small correction: it can measure up to 0,05mm, or if easier for you, up to 5/100mm (0,00196 In.). I got this carbon fiber one from some place called “Wish”. It was free and I just had to pay shipping and wait a month for delivery from China. 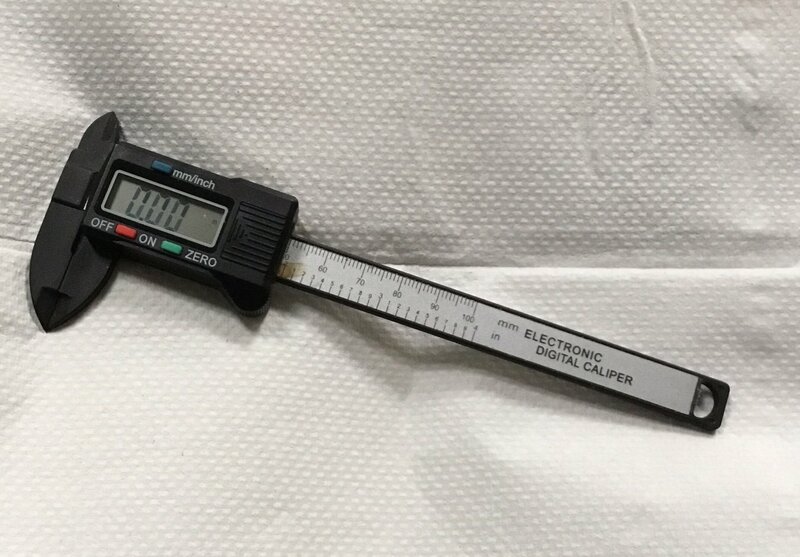 l got calipers similar to these on Ebay for $10. The jaws are plastic so it doesn't scratch watches and the display is easy to read measurements. I see that, but the scales don't touch and it is very hard to read accurately. Also, not sure how precise this is...not a Mitutoyo! If you hunt long enough, you can find thing like that at HF. I also have one just like this from Amazon. A bit more expensive, at $12 or so, but it's perfect for watches to avoid scratching. My Mitutoyos are back in the tool chest! I bought one just like it from Harbor Freight for less than 10 dollars. Works great for my needs. I also had a coupon for a free flashlight with any purchase at the time. « Ever had to use an Xacto knife to remove spring bars? Ok you have about a hundred dollars which watch to purchase? How many of you have watch tools?